My portfolio showcases a variety of projects that focus on social and economical matters that are published in to the media today. I have showed the work that I have produced for a documentary project piece, this was the work that I had displayed in the exhibition. The middle part I have shown the experience from the Newspaper Coventry Telegraph, explaining what skills I had taken from there and learnt while on the placement. In the final piece of my portfolio I have shown the gender projects that I have worked on, as the social matter of gender change is something I am continuing on with for the project called My Gender Change. The main people that I would approach would be people in the media, I am going to focus on places that produce documentary stories. I would mainly like to contact the BBC and get a work experience placement set up for the summer just one day a week. I have spoke Steve Murphy from the Birmingham Mail who spoke about giving me work experience. I feel that now I have finished university it gives me chance to get some experience there and by sending them my portfolio by e-mail gives them more of a chance to see work that I may not have shown him before. It’s great that I have now designed a PDF portfolio that I can start sending to people. I think that the PDF portfolio looks neat to look at. I can publish this portfolio in more places than just on my blog and I can consider in taking it to all aspects of the social media hype. I am going to send my PDF portfolio to the people I sent my exhibition invitations to, as all of these contacts produce documentary pieces of work themselves. 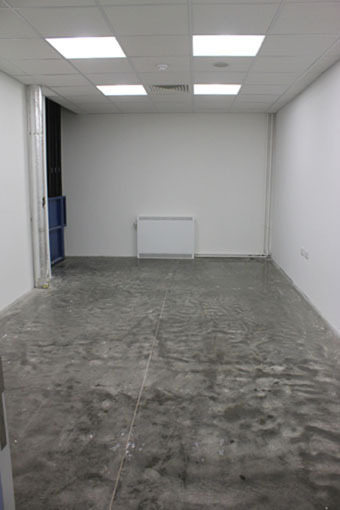 I am on the gallery rota to do the curating of the gallery on Friday 8th June from 2pm – 6pm. I am really looking forward to this role at the gallery and I can’t wait to work the shift. 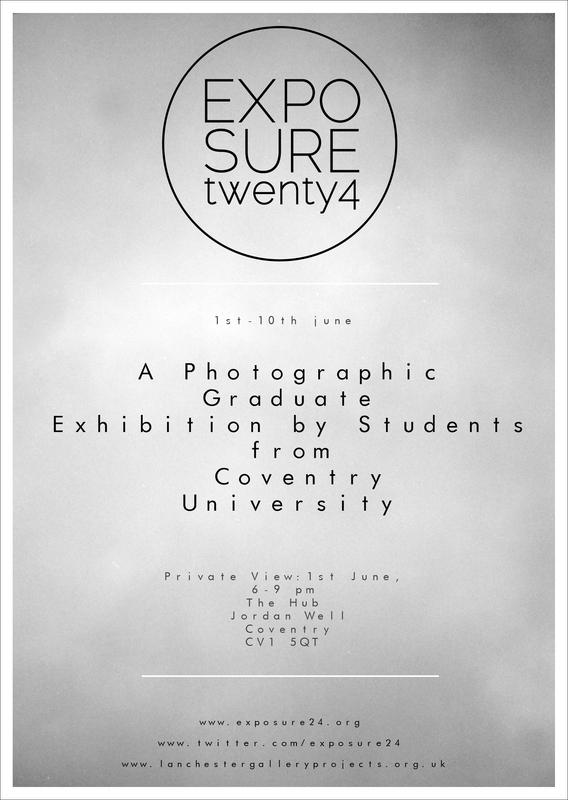 I have always wanted experience in curating a gallery and this degree exhibition gives me the chance to do so on Friday. It will be great to be on hand and offer people information on projects that they want to know more about. I feel that we all work well as a team in the class and we all know eachothers working styles so well. It will be really nice to also be the security of the gallery for that afternoon. I know that I will gain great experience from the role of the work I will be doing. This was the final day before the exhibition. Everyone came in and they knew where they were all placed. On this day it was about making sure that everyones work was up and ready for Friday. Now that everyones work was ready to go up this gave me chance to get in to the installation space and gaffer tape the wires in the room. 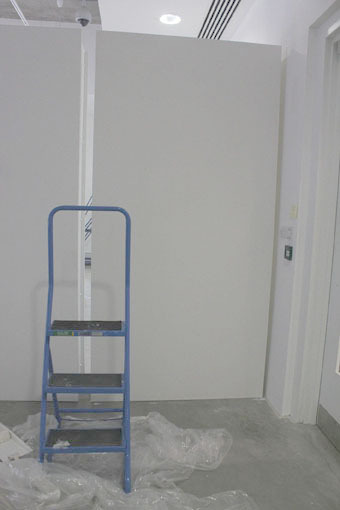 I had a wall in the main part of the gallery and I had measured up the wall on where to securely place my prints. As me and Bijash were on the walls next to eachother we helped each other out with our images and worked as a team to get them level and correct. I was given a job by Paul to sand the table that the exhibition catalogues were going to be placed on. I sanded the table and painted it twice so it was nice and white for the exhibition launch night. Once my own work was all ready I helped others with theirs if they needed help, and stuck around until everyone left. At the end myself and a few other people stayed to clear all the floor and removed all of the paint that was stuck to the floor. We started from working at the top of the gallery to the bottom. 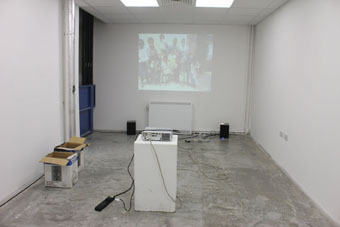 Wednesday it was great everyone being in the gallery, it was such a nice and enjoyable working environment. The planned layout that was originally designed was not used in the end and Sadie curated the gallery that would work and fit nicely. I feel the change of the gallery really suited everyones work and it benefited all of us. So Wednesday we was moving walls around a little bit. I sanded the individual walls with others before we painted them. The gallery had to be repainted and this is something that I had helped with that day. No one didn’t really know where they were going because the main concern was getting all of the walls painted so they were ready for Thursday for all the work to start going up. It did take a long time painting the main walls and the individual walls. I also helped painting the stands on this day. We all worked together and there was alot of communication and team work used between everyone I found. At the end of the day once all of the walls were dry everyone knew where they were going as Sadie started to move people in to the right places. I helped Paul and Sadie by placing names of where people were being placed. I really enjoyed watching Sadie do the changes and I felt I had learnt something from watching a professional curator changing around people in the gallery so it all worked smoothly. Above in the photograph is my wall space where I placed my images, this wall was located just before the installation piece. On Tuesday I arrived at the gallery for 9.30am. When I arrived at the gallery I was asked by Greg the technician to return for 11am this was to help remove all of the pallets from the room in the gallery and also to lift and wheel out the individual walls for the exhibition. First we had to take all of the wood and place it in a pile at the side of the gallery with the rest of the rubbish. 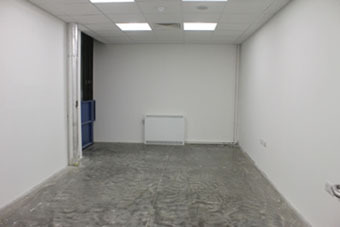 The second task was to remove the individual walls for the exhibition in to the main space. These both tasks included alot of heavy lifting and also it was alot of communication between myself, Gregg and two other members of staff. As they were so heavy the two people from one side had to communicate with the other two people on the other side when telling them to start lifting and lowering the walls. After we had got all of the individual walls in to the gallery I helped Sadie go by the plan that was created and myself, Gregg and Craig moved the individual walls around in to the places that it said on the layout. Due to all of the walls and wood being in the room where I was showing the installation piece, it had to be sweeped and moped twice because of all the dust. Once it was clean in the room I was able to go in to the room with Gregg and sort where the projector and the wires were going. By Tuesday afternoon I had the installation piece ready in the room. Later that day I helped Sadie and another curator to help them with holding a wall while they started to take it apart. The display stands were in the gallery so me and Julia sanded the display stands and started painting them. We helped clean up alot of stuff that needed to be removed from the gallery. Tuesday 29th May 2012 myself and Julia left the gallery at 7.30pm. I decided that I was going to send out the invitations to people that I think would be interested in the exhibition and also for myself to approach people that document stories in the indust I had contacted a varied of people to invite but also to send the http://www.exposure24.org website address over to them so they can view my own work and also others. Jeff Morgan, Steve Murphy, Paul Cunningham, Julie Edward, Pete Jenkins, Grant Rooney, Rudolf Abraham, Phil Clarke Hill, Peter Wilson, David Hoffman, Adam Patterson, Chris Parker, Tom Sullam, Daniel Lazano, Caroline Wilkinson, Natasha Blatcher, Guy Scott Wilson. I have shown a screen print of the proof of the sending of the invitation along with a message. 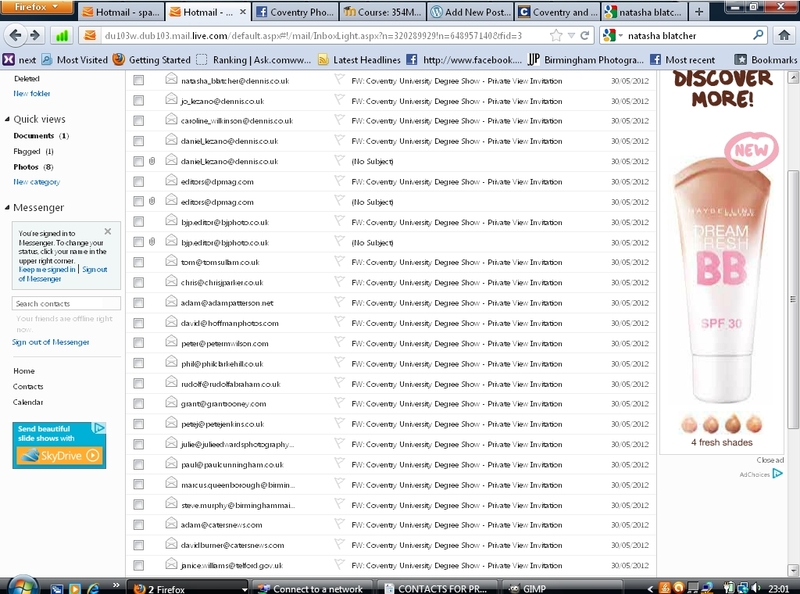 This is shown in my sent folder on hotmail. I have had some good messages back from the contacts. They are not able to make the exhibition due to distance but some have said to stay in touch which is something I am going to do. You are currently browsing the Dbridgewater's Blog blog archives for June, 2012.